This year's Golden Week Festival is full of fun activities. A long battle involving water, snow and fun at Ki Niseko. 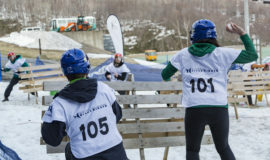 We had the pleasure of sponsoring the annual Orphan Ski Day again this year and inviting local orphaned children to dine with us at our restaurant in Ki Niseko.